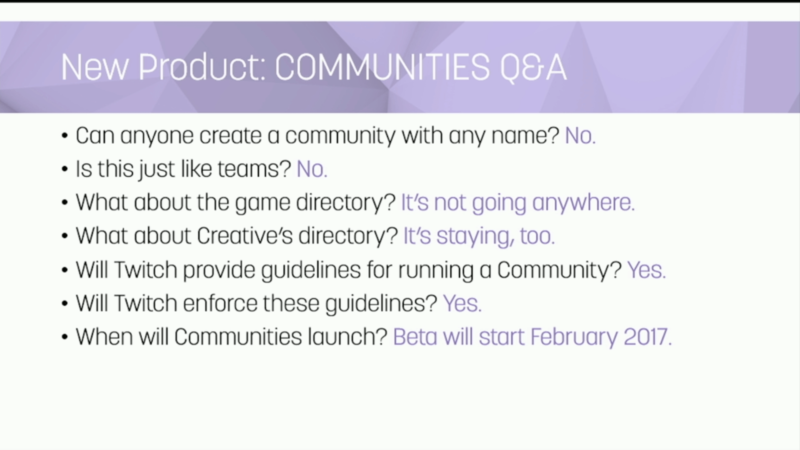 At the PAX South Twitch Town Hall, Twitch announced that they’re working on a new directory dubbed “Communities“. Communities goes beyond the game directory and will help more specific activities in each game become more discoverable for both viewers and broadcasters alike. The examples given were subdivisions within the Dungeons and Dragons directory with something more specific like “5th Edition” or “speedrunning” with many different games which is an especially popular existing community on Twitch. While the hashtag system will still remain present for the Creative directory, Communities will probably fill a similar role in the rest of Twitch and help smaller communities grow in both content creators and viewership. The communities feature is still under development and isn’t set to launch until February but it is looking to be very good in the cases that were mentioned. Teams can be a bit broad for an application like this and with a name like “Communities” it’s much more intuitive for newer viewers. Even beyond the couple examples that were discussed at the Town Hall, so many jump out for me. “PvP” or “PvE” seem like they could be very useful for MMOs, GTAV has a myriad of activities that could benefit from community features, and games that have very open-ended creative options like Minecraft could see more exposure with Communities. 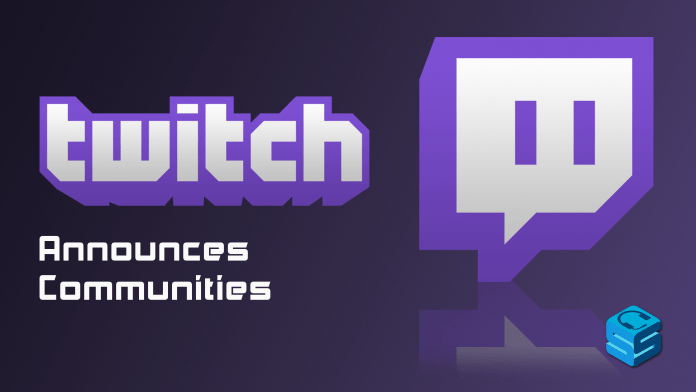 Despite the fact that Twitch would say Communities and Teams aren’t the same, I’ll be interested in seeing what kind of feature set Communities will offer as well as the ways that Twitch will differentiate the two. Next articlePax South 2017: Floor Round Up! I fear discovery and organization of content on Twitch is just becoming further jumbled and complicated and layered when it really just needs to be gutted entirely and attacked fresh from the ground up. Game-based categorization is definitely not the right way to go anymore (since most people watch personalities rather than just stick to one game, even if they first find that personality by caring about one game – and especially now that games aren’t everything on twitch). However, I think this is something that can only really be solved by doing it all over; not patching it up here and there.